It’s a moment that can inspire fear and dread in anyone—including law-abiding citizens. 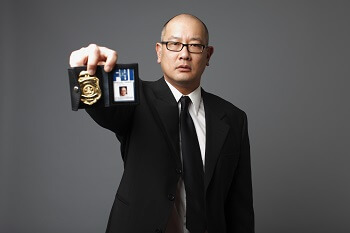 Police officers or federal agents from the FBI can come knocking on your door, unannounced, at any time, day or night. They may or may not have a search or arrest warrant in hand. They could be there to search your home, make an arrest, or simply to chat with you. But what should you do in order to protect you and your family’s rights under these circumstances? As an initial matter, keep in mind that law enforcement officials are allowed to knock on your door just to ask to speak with you, a family member, or a roommate. They have no obligation to have a warrant to “chat” and question. Increasingly, law enforcement does this at very early morning hours or late at night to catch people off guard and without access to counsel. By the same token, you are not required to speak with them. How Can I Protect My Rights When Questioned by the FBI or Other Law Enforcement? Find out who they are: Perhaps an obvious point, but this is one that should be made nonetheless. Always inquire regarding the identity of the officers and ask to see their credentials. Ask for their business cards as well so you have a record of who you interacted with. Find out why they are there: Obviously, your interaction will depend on the reason the officers are there, and whether they have a warrant. If they have a search warrant, for example, you are obligated by law to allow them to search within the parameters of the warrant. You should not do anything to interfere with the search, because doing so may result in a charge of obstruction of justice or similar charges. If they have an arrest warrant, you should likewise not do anything to interfere with their execution of the warrant. On the other hand, if the officers have no warrant and simply ask for permission to enter or search the house, you have a right to refuse. You also have an absolute right to refuse to speak with them. You should always consult with a criminal defense attorney before speaking with law enforcement or consenting to a warrantless search of your home. The phrase “anything you say, can and will be used against you” applies whether you are under arrest or not. If you do choose to speak with the officers, step outside and shut the door: Voluntarily allowing officers into your home when they do not have a search or arrest warrant increases your exposure for criminal charges or investigation. For example, anything the officers observe while inside your home can be used against you—without the need for a warrant. Always stay calm: Exercising your constitutional protections against self-incrimination and unreasonable searches does not in any way require you to be rude, aggressive, or disrespectful to the officers. Always maintain your cool while interacting with law enforcement. They are simply doing their jobs. Keeping your hands visible and avoiding sudden movements or anything that could escalate into a misunderstanding—or worse—is always critical. If you or a loved one are approached by law enforcement, it is important to call a trusted Fairfax criminal attorney at Greenspun Shapiro right away. Hava you or a loved one been recently questioned by law enforcement? If so, it’s time to contact a trusted Fairfax criminal attorney. At Greenspun Shapiro PC, we are known for our vision, experience, and imagination. Our team of Fairfax lawyers have a track record of success and excellence. We are available to discuss your legal issues in a consultation. You can schedule this meeting with one of our Fairfax criminal defense attorneys by calling 703-352-0100 or by emailing us using the contact form.